Restaurant business owners must not only assure that they have met the building standards of their state but also the appropriate documents. One of the most common forms needed to open a restaurant business is known as a restaurant operation form. This is a restaurant form that highlights and details the plans of how the restaurant must be operated based on the needs of the clients and customers. There are varieties of restaurant operation forms depending on what area and section of the restaurant will be planned and operated. For emergencies and incidents where an authorized individual will be needed to provide a certain service in the restaurant, a standard operating procedure form will be used. You may also like restaurant evaluation forms. 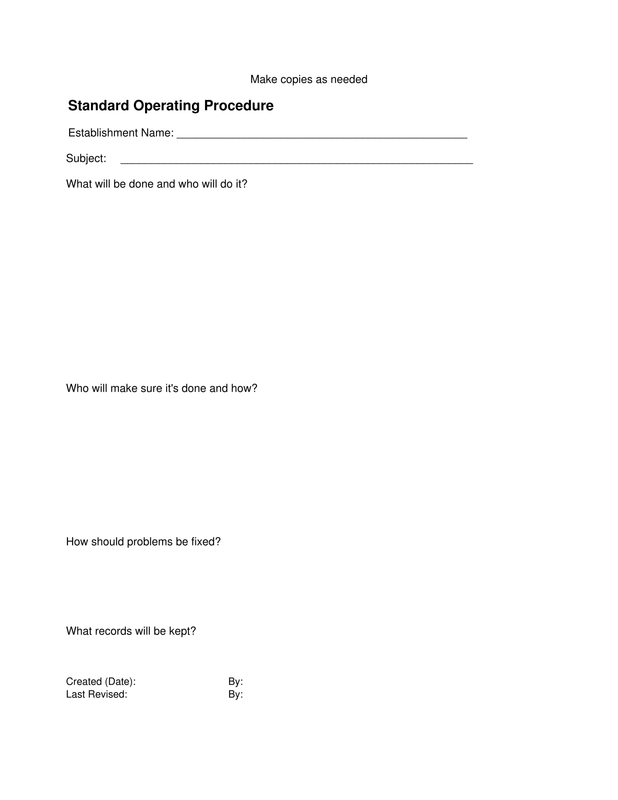 A standard operating procedure form contains questionnaires and the dates when the incident occurred. The questions mainly focus on who should be called out in case of an incident, what he is expected to do, how the issue should be fixed, and what sorts of restaurant legal forms such as attendance and inspection forms will be kept for the management’s records. Restaurant management operation forms focus on determining what steps and restaurant plans should be observed or mandated to successfully operate the business. A variety of application form for a vacancy in a restaurant operation manager’s position will also be needed for the hiring personnel of a restaurant during the job application process. Specifically, the form is known as a restaurant management operation job application form. This will cater the general information, education and employment history of the applicant that are essential for finalizing the candidates who are suitable for the job. 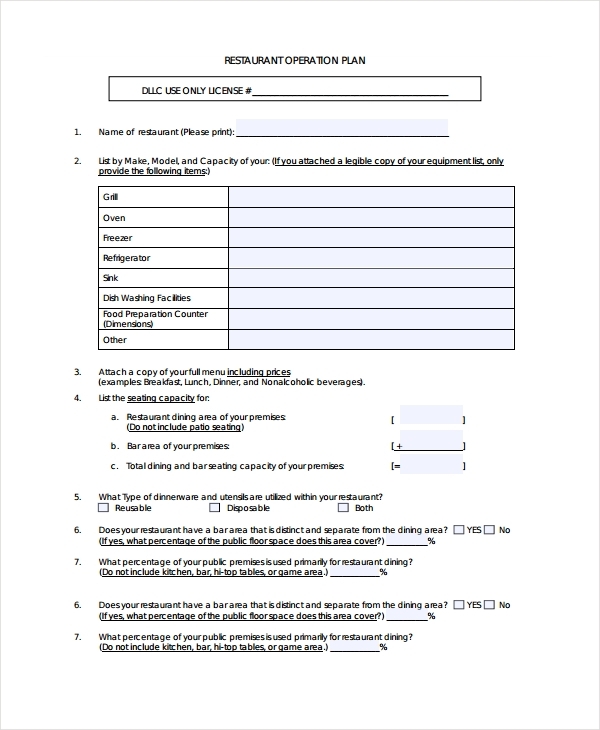 Restaurant questionnaire operation forms are accompanied by other documents such as insurance application and restaurant tax forms. The intention of having the questionnaire form is to gather sufficient data about the business and the personal information of the insurance holder. The authorized personnel who will review and assess the answers will be using a restaurant checklist form that will indicate the sections of the questionnaire which are mandatory to be filled out by the applicant. For detailed plans that include the pricing for the menu to be served, a restaurant operation plan form is the necessary paperwork to use. This will state the license number of the restaurant along with the business’s name, equipment list, menu list, seating capacity, and structure of the premises. You may also like restaurant order forms. 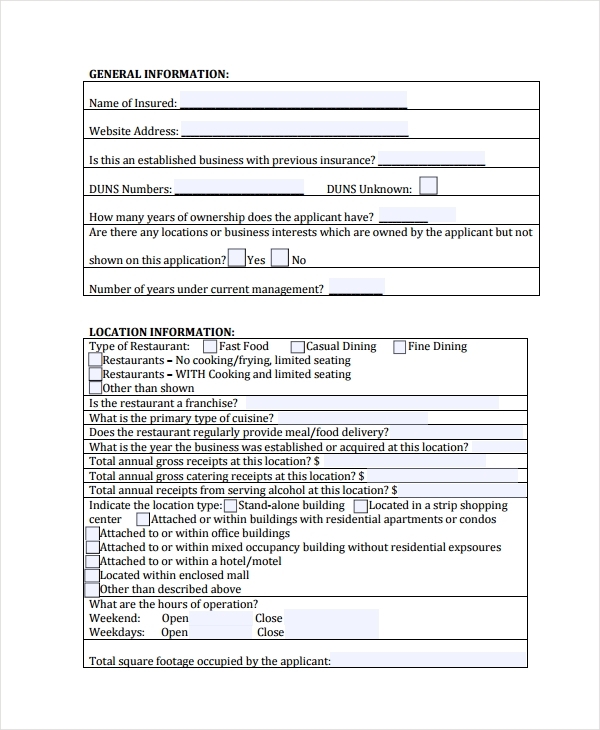 This document can also be enclosed with a restaurant agreement and restaurant application form whenever there is a need to supply further information about the business. 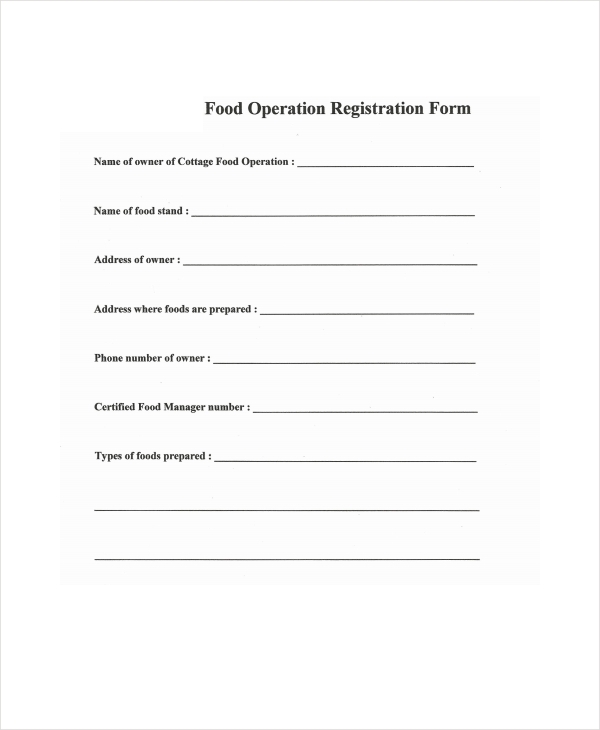 A restaurant food operation form is an essential document that is used to indicate whether the food served from the restaurant’s menu are permitted and registered legally in the state. The form consists of two primary sections that will cater the business information of the restaurant and a set of checklist boxes for the authorized personnel to state the type of permit that the restaurant had. Annually, a restaurant evaluation, restaurant surveys, and inspections will be held in order to assure that legal terms were met by the business management and the permits are up to date based on the standards of the state. When there are new products to be added to the menu and services to be updated for the restaurant’s procedures, a restaurant operations request form will be used. The form will allow the management to determine whether the changes and the updates are necessary for the improvement of their operations or not. Since the form also acts as a employee suggestion and feedback document, restaurant employees and staff can also be the users of the form in order to aid in improving the strategies of the business. 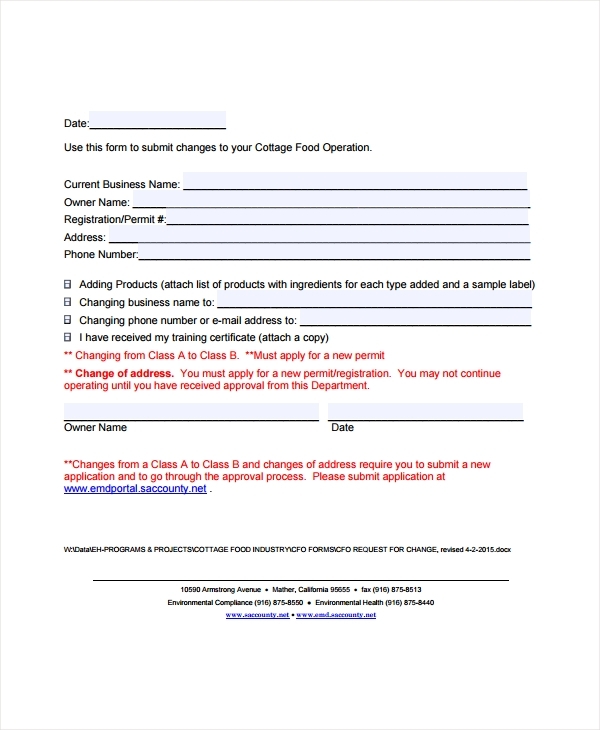 Additionally, this request form sample is also necessary for changing restaurant marketing tactics to acquire more sponsors, clients, and business partners. 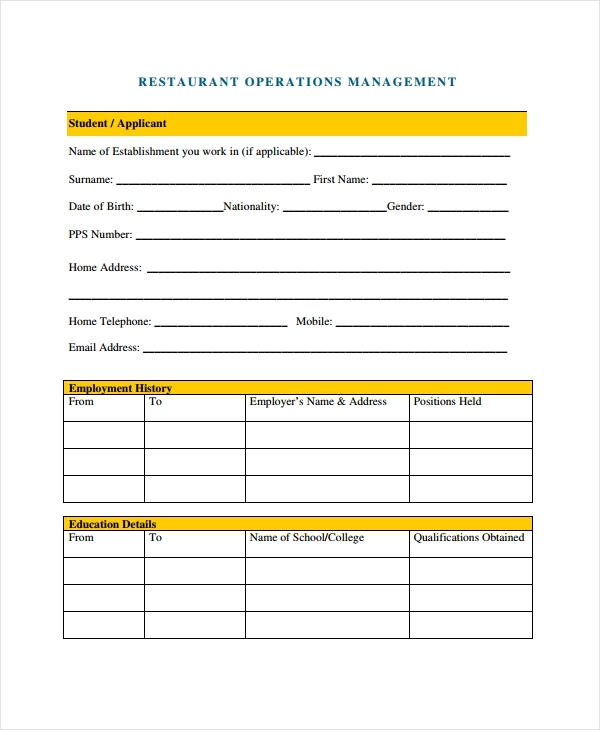 Another document that is significant for any restaurant business is a restaurant service operations form. This focuses on the types of services the management and the staff will provide for their clients, customers, and candidates during the job application process. This form is also one of the requirements in some states to secure that the provided services of the restaurant are legal and based on the laws. Along with this essential document are other papers such as agreement forms and restaurant ownership forms. 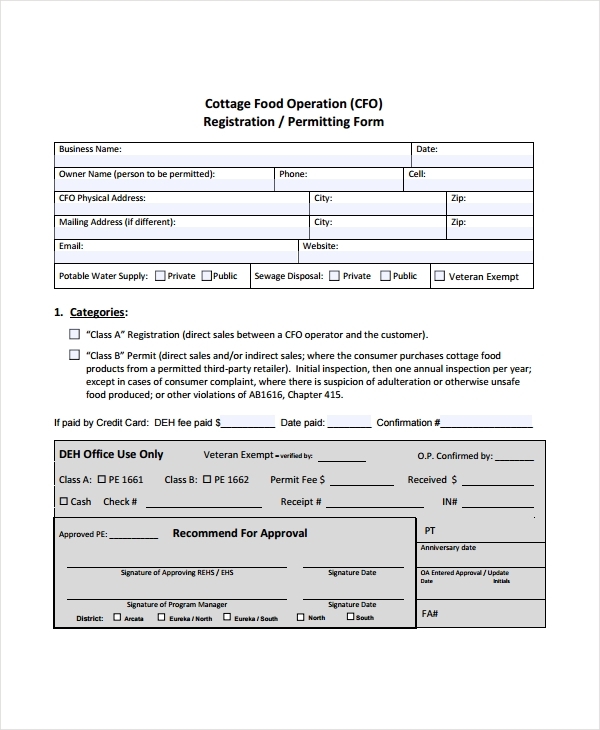 A restaurant operation registration form will be used by restaurant business owners to register their services and the details of their operating procedures to their state or authorized government. The form contains the names of the business and its owner, the address or location of the restaurant, the contact information of the manager, and the types of food prepared for the menu. The usage of various forms such as disciplinary forms for violating employees, deposit forms for their clients, as well as receipts in the cash registers will also be indicated in order to determine whether the documentation process of the business have met the standards and legal needs of the state or not. Owning a restaurant can be fun and difficult at the same time especially since there are numerous forms to consider for legalizing a business ranging from catering forms to maintenance action forms. This is why restaurant business owners must remember a few tips for operating their restaurant properly. The first tip is to assure that the center of the business’s mind-set are the mission, vision, and goals since these three are the primary sources of ideas and strength for the company. Another tip is to choose the staff wisely and simplify the restaurant’s food choices on the menu. By appropriately choosing the right candidates for specific jobs, the restaurant will be able to cut down the costs of repeatedly training the staff to meet certain skills in catering the clients’ needs. The benefit of simplifying the menu is lessening the number of ingredients to manage and secure that each of the items will not be spoiled before meeting the dining tables. You can also like restaurant proposal forms. Lastly, a restaurant business owner must assure that his operations and procedures are well-documented in order to aid the management in future incidents such as determining glitches and failures of a particular process. Having proper documentation will also supply information to the authority whenever needed and will prove that a restaurant has been operating responsibly for their clients and the law. You can also like food order forms.